Words to rhyme, flaps to flip and cute pictures to make you happy. This funny story helps you learn your phonics faster. It’s full of simple words to rhyme and repeat, plus lifting flaps and exciting colour artwork. 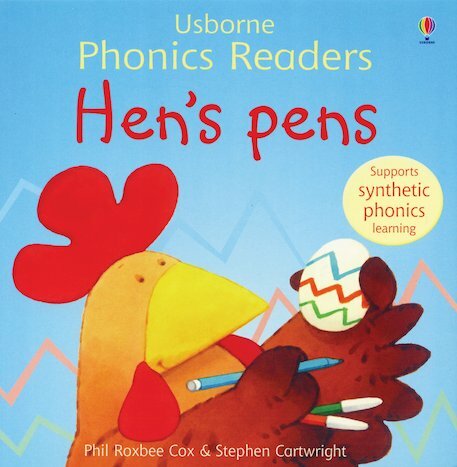 It’s never been easier to practise the phonic word sounds that help you start reading. 470L Lexiles are the global standard in reading assessment. They are unique as they are able to measure a child and a book on the same scale – ensuring the right book gets to the right child at the right time. Philip Roxbee Cox is well known as a children’s non-fiction writer, but his career as a fiction author is now taking off. His latest children’s fiction title, “Awful End” has received much critical acclaim.